This little job is actually for my best chum, so it needs to be right. 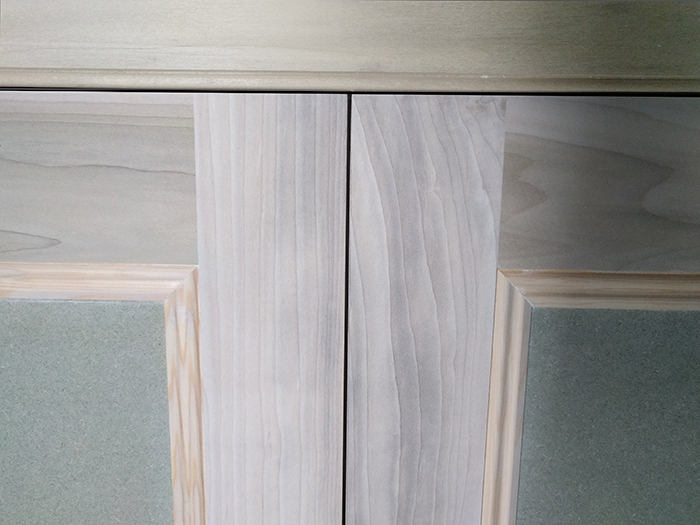 I’ve used solid wood on parts that I felt would benefit from being done to a good standard. 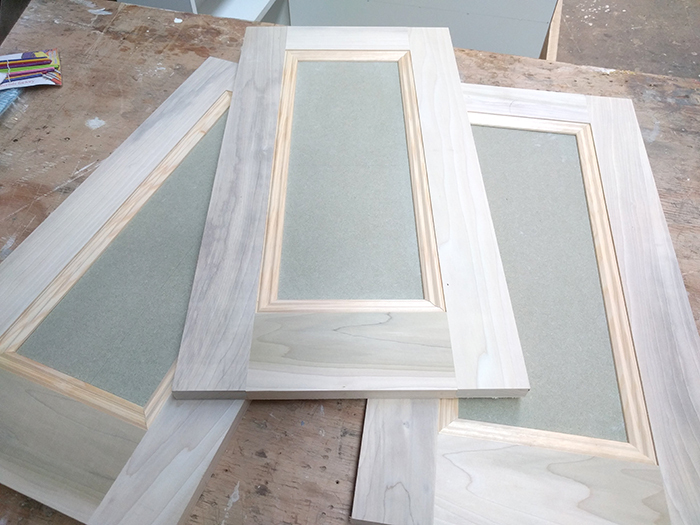 The doors and face frames are Poplar (Tulipwood here in the UK), but all the other sheets parts are in MDF or MRMDF. 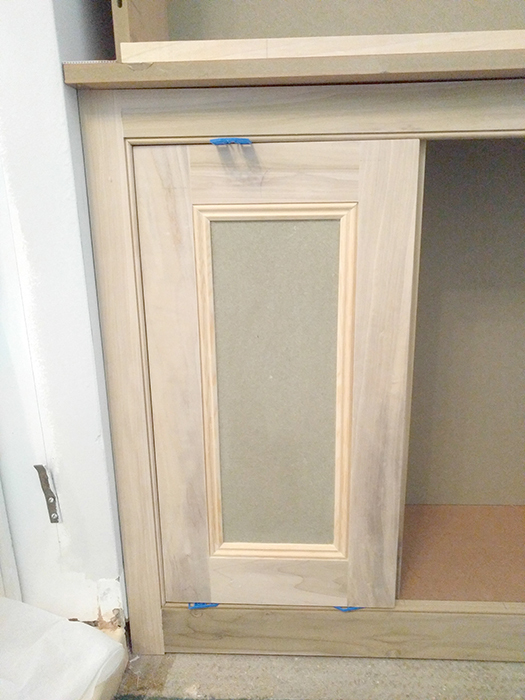 There was just a little bit of fitting required for the applied mouldings on the doors. I did that then went to see if this while thing fitted in the corner it was designed for. Thankfully, it did! 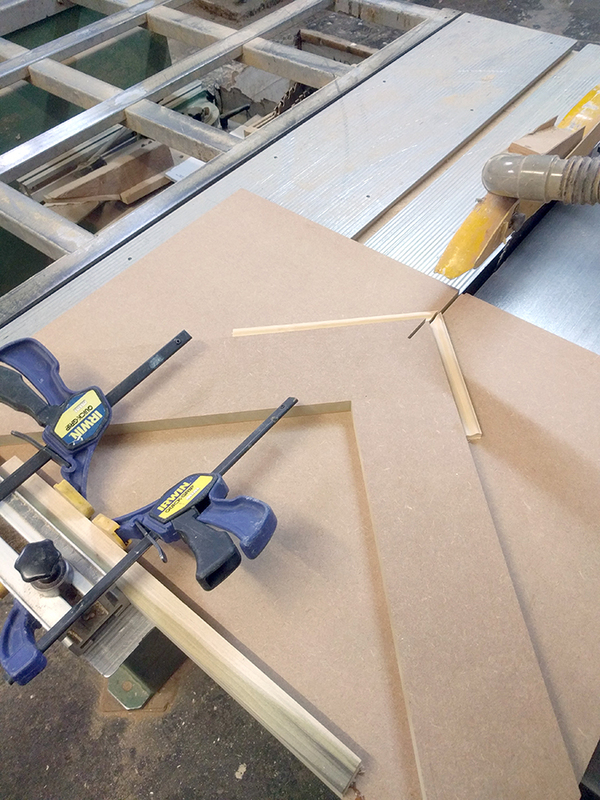 I don’t have a mitre saw, so I made up a quick jig for cutting 45-degree mitres for the applied mouldings. The jig was ok, but I realised in use I could have made it longer, in case I make larger doors. Hey-ho, it’s fine for this. The doors are obviously going to be painted, so looks good enough for me. 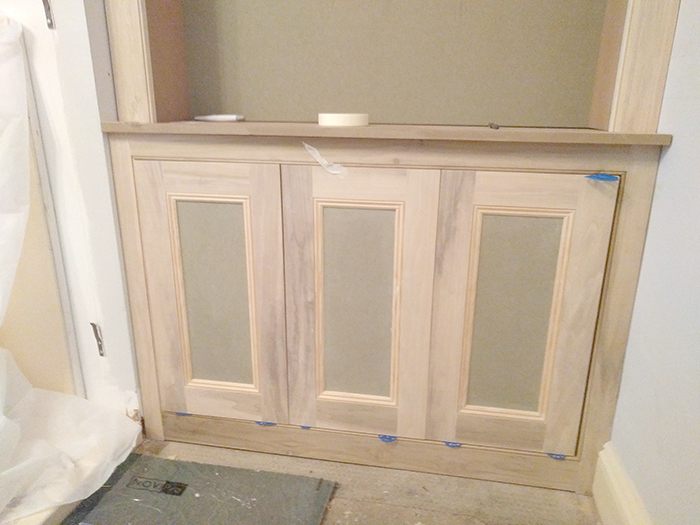 I fitted the doors into the face frame on the bench with 3mm shims all around and shaved where necessary to get an even fit. On site today and plinth has been fitted at base. Once the job is sprayed, this will be fitted, levelled up and will take out any unevenness in the floor. For now, the cabinet is just resting on it. 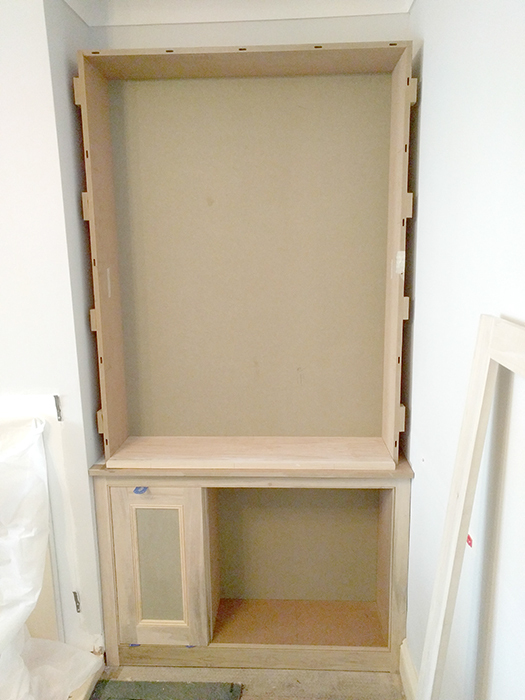 We will be bringing the electrical sockets into the cabinet later. 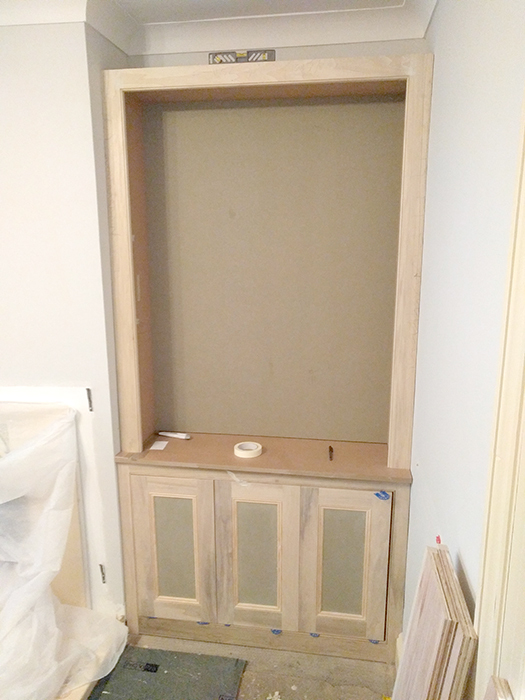 In this pic, you can see the face frame needs to come down to cabinet level, so we cut away slots into the skirting. 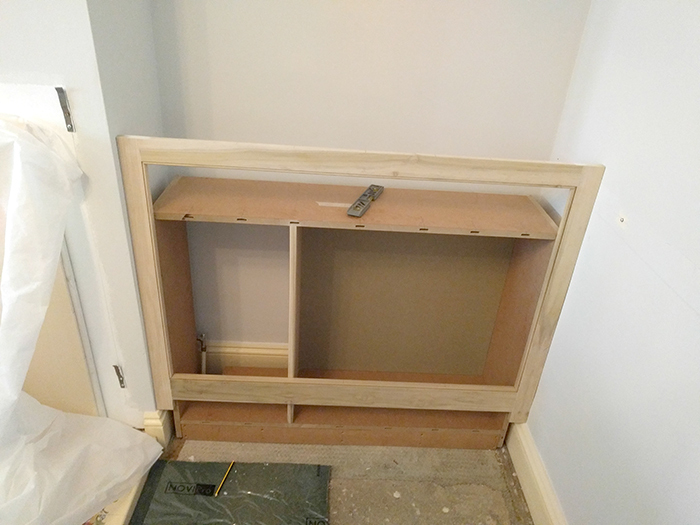 You can cut slots, or take off whole pieces of skirting or cope the face frame over the skirting profiles. Many ways to skin a cat. Blessed with nice, straight walls here. The plasterer did a good job in the corner. Face frame in on lower cab. 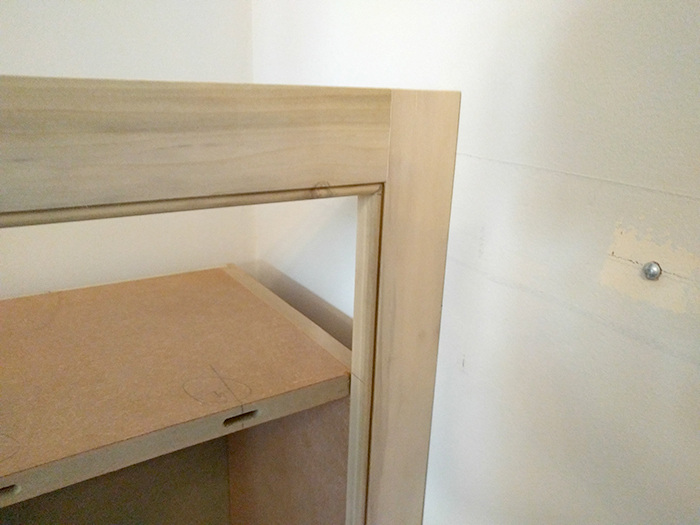 Upper cabinet will be bookshelves and I’ve added side blocks just to help support upper face frame. Probably unnecessary, but it was helpful when the box was on the bench and I was laying on the face frame for measuring. 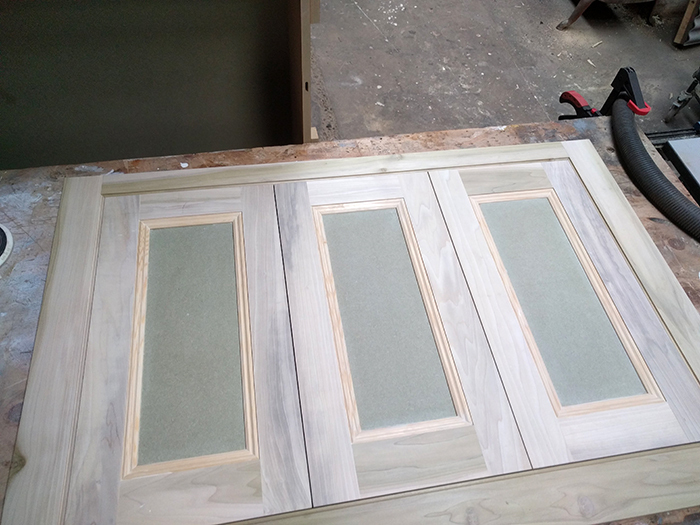 Doors just popped in with shims for now, but whole design should work well I think. 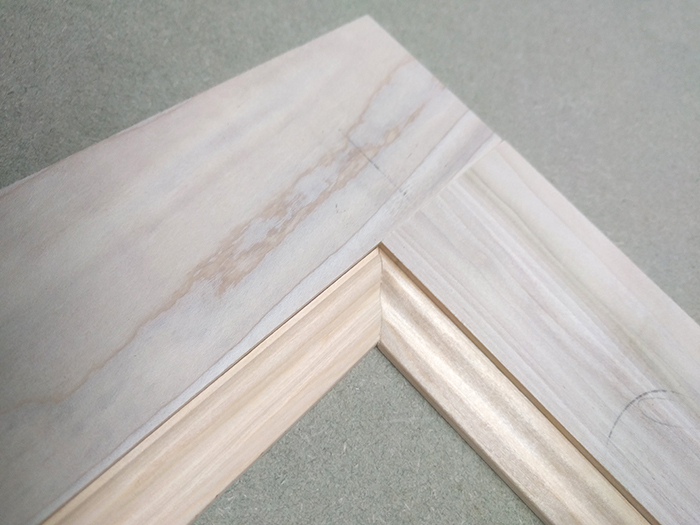 There will also be a narrow length of ogee profile skirting along the bottom. Upper face frame now in. This took longer to fit, as we had a bit of back and forth trimming for the walls. All seems to work well. Time to take everything out, fit the hinges for the doors and then disassemble for the sprayer.